The way she tells it, she left the same way she came in. That’s how Carol Dugat, the incredible woman who served as my executive assistant for more than 20 years, described her recent retirement from Neighborly. More specifically, it was reciting the company’s Code of Values. Carol said that the very day she started working for Neighborly, I recited the Code of Values to her to let her know it was part of our company culture. And if she could relate to these values, she would feel comfortable at our organization. That was December 28, 1998. Needless to say, we spent the next 20 years reciting those values together regularly. So it seemed quite fitting, although it came as a complete surprise, that on Carol’s last day, she said she couldn’t officially leave before reciting the Code of Values one last time. And this time, it was in front of a crowd. I learned something incredibly powerful in that moment. Similar to the way that we hope our code will guide our associates and franchisees as they journey through business with us, Carol also revealed how it helped guide her towards retirement when the time was right. 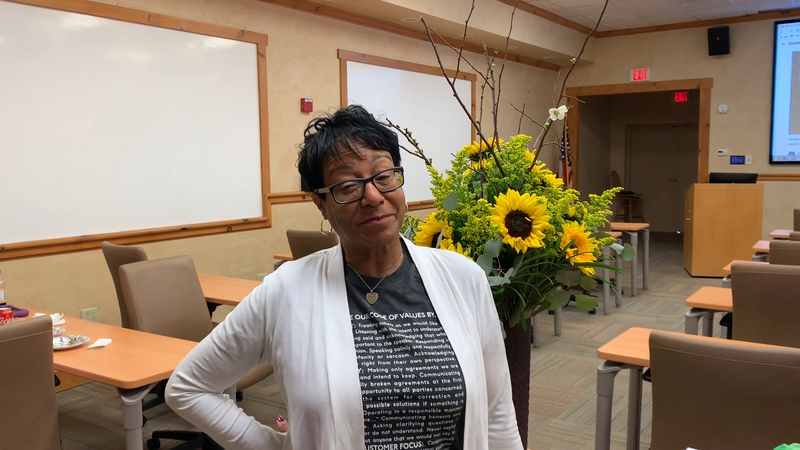 As she recited the Code of Values at her retirement party, she got to the one that made all the difference: We live our Code of Values by making only agreements we are willing, able and intend to keep. It’s part of our theme for Integrity at Neighborly. And Carol is a living, breathing example of integrity at the highest levels. So, she did what our Code of Values asks people to do…. We live our Code of Values by looking to the system for correction and proposing all possible solutions if something is not working. That solution meant helping to train her replacement and embracing her well-deserved retirement. And as spoiled as I had become over these past 20 years, I completely understood and respected her decision. In recent months, Carol had scaled back to part-time. She was available four hours a day, and it worked out well. More importantly, it gave her some rewarding work-life balance to spend more precious time with her immediate family. That includes a mother and father (ages 92 and 96) who recently celebrated their 75th anniversary, as well as kids, grandkids and even great grandkids — the youngest being twins who just celebrated their first birthday. So, when work continued demanding full-time attention on a part-time schedule, Carol knew she was making the right choice. “Everything is at it should be,” she said about her retirement. I know all too well that kind of tug at the heart. In recent years, I’ve sought more work-life balance to spend more quality time with my own mother. And the recent marriages of my son and daughter have welcomed two incredible spouses to our growing family. Plus, unless you’ve missed my recent bragging, I just became a grandmother, and I can’t help but want more time with my new granddaughter. Carol found all the right reasons to make this change for herself. And I love her for being that example. Equally important, she helped Coleen Heaton, my new executive assistant, take her place. And Coleen has hit the ground running. However, in case she needs a roadmap for how things work around here, she already has an incredible Code of Values to guide her.